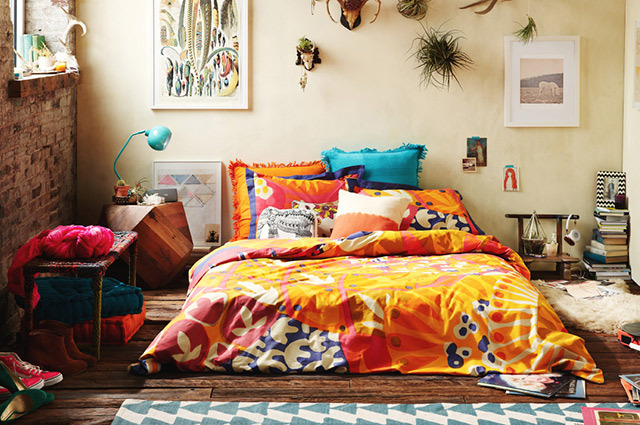 I thought it appropriate to start this week off with an amazing colour explosion courtesy of Urban Outfitters. 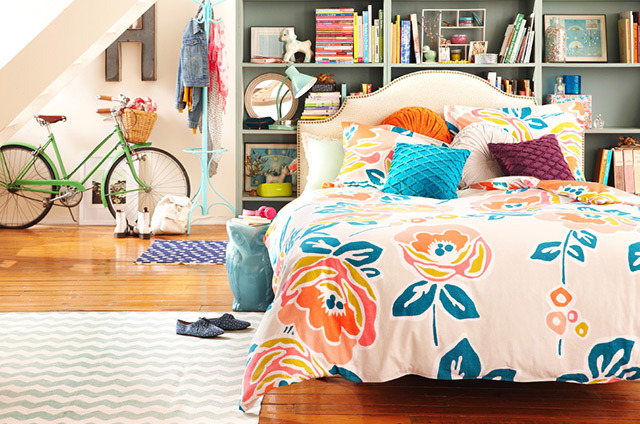 I love these bedrooms, giving us a much needed injection of warmth, sunshine and colour. I had a fantastic weekend in London, hanging out with the creme de la creme of design bloggers at *Meet the blogger London*. We had a hoot, chatted away and learnt quite a few tips here and there. So to old readers and new - Happy Tuesday - look forward to catching up with you all on my favorite blogs soon. they have a lot of nice home things...unlucky I could't buy anything during my last Urban Outfitters visit since I was traveling means no space in luggage...but great shop! Oh, I want a bedroom like this. i am loving...loving...loving all of this color. 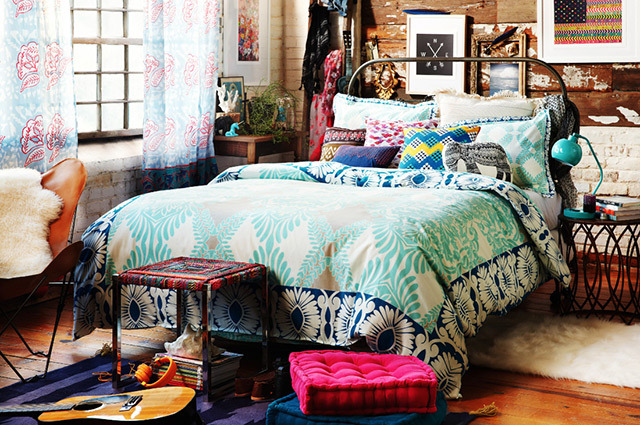 the bedding is so pretty! 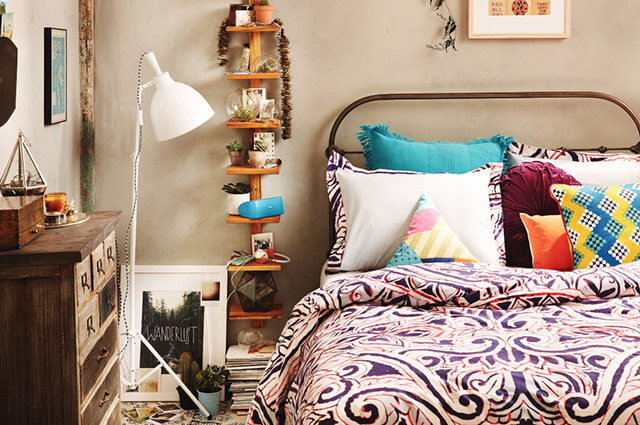 i need to jazz up my bedroom. hahaha go urban outfitters! anya, i saw the pic of the three of you ladies and thought it was so fab that you got to meet in person. natalia did a great write up! glad you enjoyed yourself doll. Thanks Petra - I always like London, but yes the weather was ghastly. But then again - here it was -11 this AM.